Bbbrrrrr! 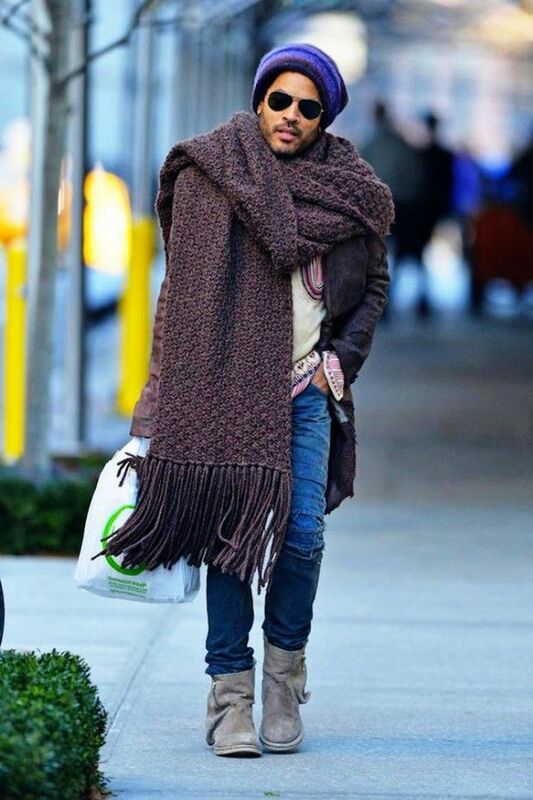 Baby it’s COLD outside! After the glorious sunny autumn weather we’ve been treated to recently these frosty temperatures are tough to take! Today, I so nearly didn’t go on my run. It was 4 degrees outside, raining and I’d only slept 5 hours due to hormone-induced insomnia. I felt tired and I couldn’t warm up even with the heating on. But I had my week’s running schedule already set and I was sticking to it. So I put my (one too many) layers and waterproofs on not forgetting my gloves and off I went. About 5 minutes in my cheeks were rosy and my energy was returning. The paranoid, stressed feeling I’d had before I began was dissipating too. I even found myself taking off a layer because I was too warm 5 minutes in. Don’t make my mistake! But don’t make this school-boy error. It may feel fresher than fresh when you first set out but within five minutes you’ll have warmed up and the last thing you want is to be stuck inside a furnace. My advice is to dress smart. Wear sweat-wickering fabrics and if it’s windy wear a wind shield and a waterproof if it’s raining. Here are my top picks to keep you at your optimal temperature this winter. I’ve always gone with Nike for winter running kit and I really don’t think there’s anything that does the job better. 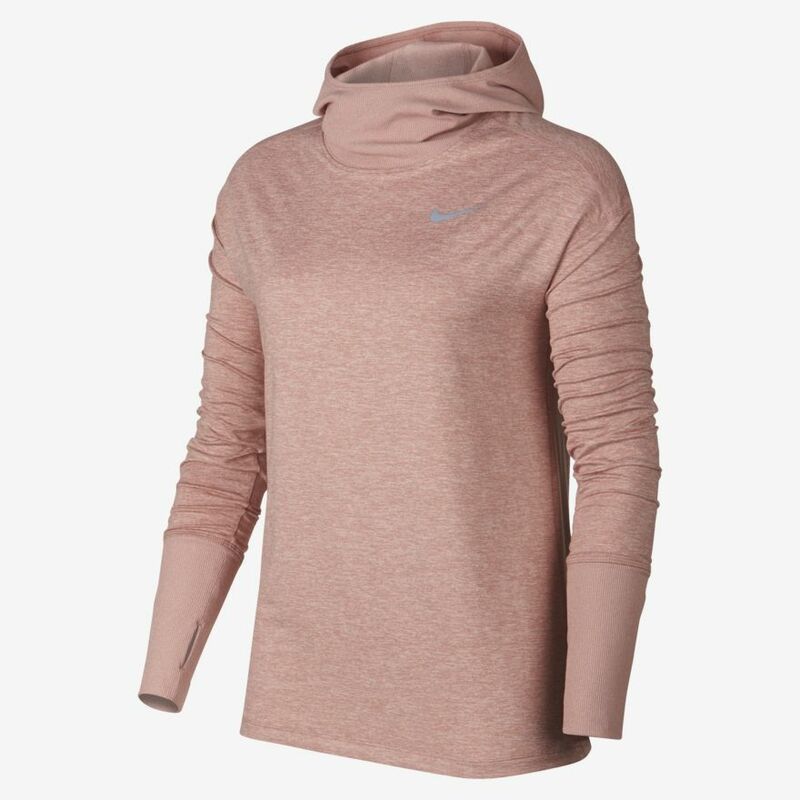 The Nike Element Women’s Running Hoodie is sweat-wicking and has a hood to help keep you warm and dry while you run. The beauty of a hood VS a hat is that if you get too hot you don’t have to carry it around for the rest of your run. Simply push back and keep runnin! 2. 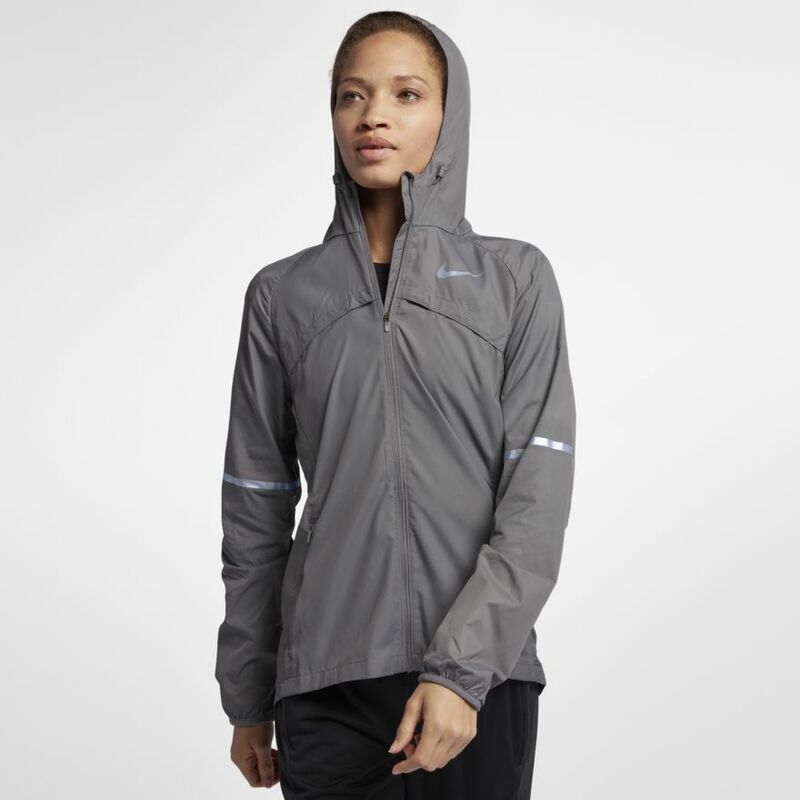 The Nike Shield Women’s Running Jacket is rain and wind-resistant with ventilation zones to ensure you don’t overheat. 3. The Nike Pro HyperWarm Tights combine sweat-wicking thermal fabric with ventilation in high-heat areas to help you stay warm without overheating during training or competition. N.B. I also have Nike waterproof trousers which I put on over my leggings when it’s really wet. I don’t think they are currently available but Adidas have some great ones. Click here. 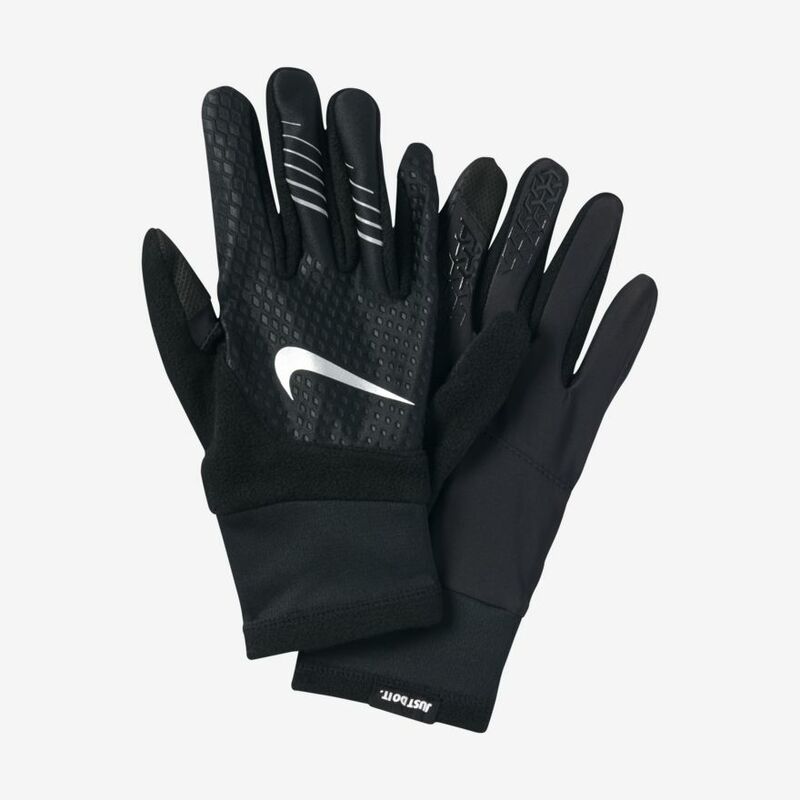 The Nike Therma-FIT Elite 2.0 Women’s Running Gloves are lightweight and thermal allowing you to stay warm with maximum dexterity. 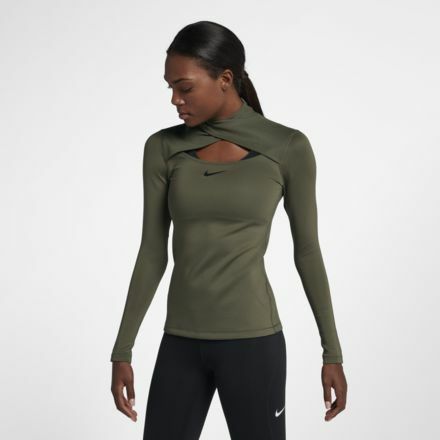 The Nike Pro Warm Women’s Long-Sleeve Top is thermal and sweat-wicking making a great base layer that will help keep you warm, dry and comfortable during training and competition. Power mesh wraps the front of the neck for optimal breathability. Remember, there’s no such thing as bad weather – just bad clothes! Keep training outside and you’ll reap the rewards and feel invigorated for it.